Mowing your lawn not only makes it look nice and tidy, but as long as it is done correctly it also plays a key role in keeping it healthy and strong. For most people mowing the lawn is a chore and so the lawn mower is out of the shed and back in again in the quickest possible time! With a few handy tips, you can improve your lawn mowing technique (and it wont take that much longer, we promise!) and it will result in a healthier and tidier lawn. Keeping the blades sharp on a lawn mower is key to cutting your lawn well, but it is often overlooked. A sharp cut encourages strong, healthy growth. Blades should be sharpened as often as possible, but we are aware that not everyone is the next Alan Titchmarsh! At a bare minimum we recommend sharpening the blades at the end of every season. So before you put your mower away for the last time, give the blades a sharpen so you’ll be all set once spring comes back around. Never cut more than one-third of the length off your lawn off in one cut. It is often tempting to scalp the lawn so you don’t have to cut it again for a while, but this will damage the lawn and make it weak. Weak grass then struggles to compete against weeds and nobody wants a weedy lawn! Only cut your lawn when it is dry. This avoids the cut being uneven, gives the blades a sharper cut which encourages healthy growth and it also makes it a lot easier to push the lawn mower! Try to avoid mowing up and down your lawn in the same pattern every time you mow. Varying the direction that you mow will encourage stronger growth and the blades will grow upright. Rushing around the garden is a common mistake. Going too fast will leave an uneven cut, so just take a little bit more time for a tidier and healthier result. It’s not a race! It is important to mow as and when needed. 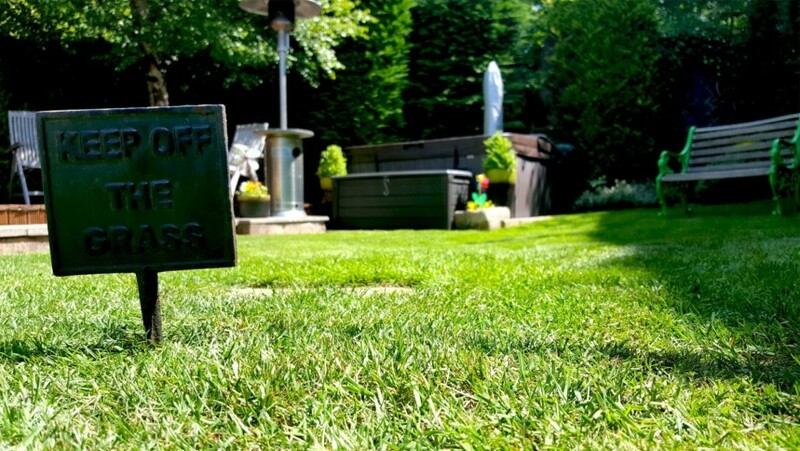 There is no set routine, it is very much weather dependent so just judge by eye when your lawn is due a mow. Mowing will start in spring and frequency will increase until you are mowing around once a week. In the height of summer, growth actually begins to slow in the heat, and your lawn will gradually need mowing less and less with the final mow of the season usually around the end of autumn. Changing the cutting height of your mower is easy to do and will make sure you don’t cut your lawn too short. Start the season with it set high, and gradually lower it as the season goes on. Coming up to autumn time it is best to start raising the height again so it is not left too short at the end of the growing season. By changing your mowing practice even slightly using the tips above, your lawn will benefit greatly. Your lawn will be strong and lush, and weeds will struggle to compete with that!